3 Series Pulse Jet Valves by Goyen Controls Co are suitable for dust collector applications. Specifically, they are recommended for reverse pulse jet filter cleaning and its variations. For example, they are used with bag filters, cartridge filters, envelope filters, ceramic filters, and sintered metal fibre filters. 3 Series Pulse Jet Valves come in two port sizes, ¾ inch and 1 inch. 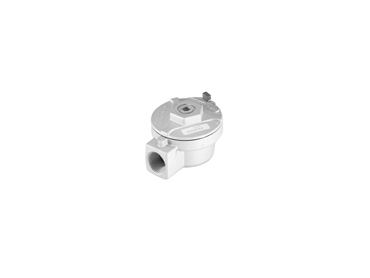 They are diaphragm valves which offer excellent performance and easy maintenance. All 3 Series valves are supplied with Castec protection, offering 500 hours resistance to salt spray. 3 Series valves are available as remote pilot valves and may be converted to integral pilot applications through the use of the screw in pilots of the MIP and 3DS series. Dresser nut ports (DD3 Series) or flange and slide ports (FS3 Series). Outlet at 90 degrees to inlet.